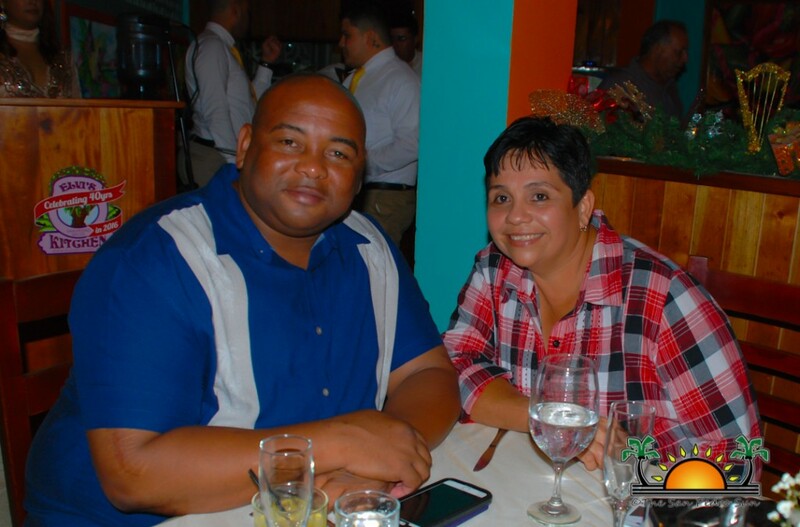 Home » Community and Society » Elvi’s Kitchen celebrates 40 years of great food and service! 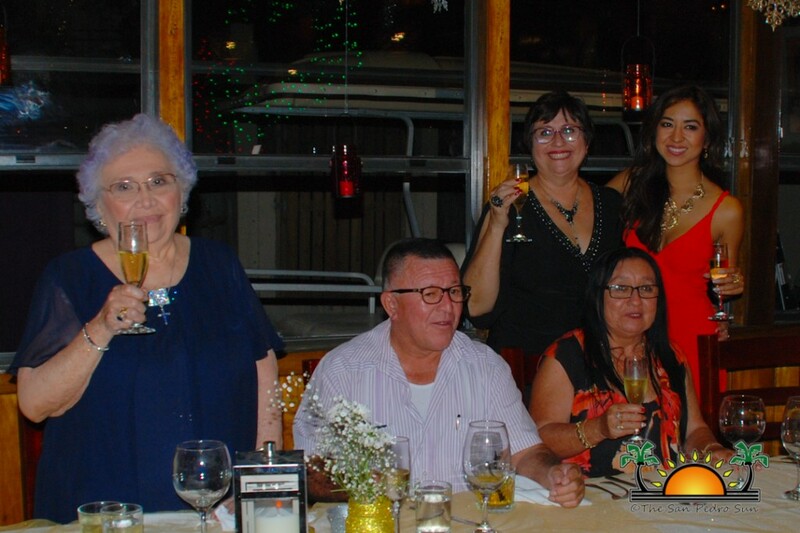 Forty years of service is a momentous achievement for any business, and on Saturday, December 10th Elvi’s Kitchen celebrated just such an occasion. 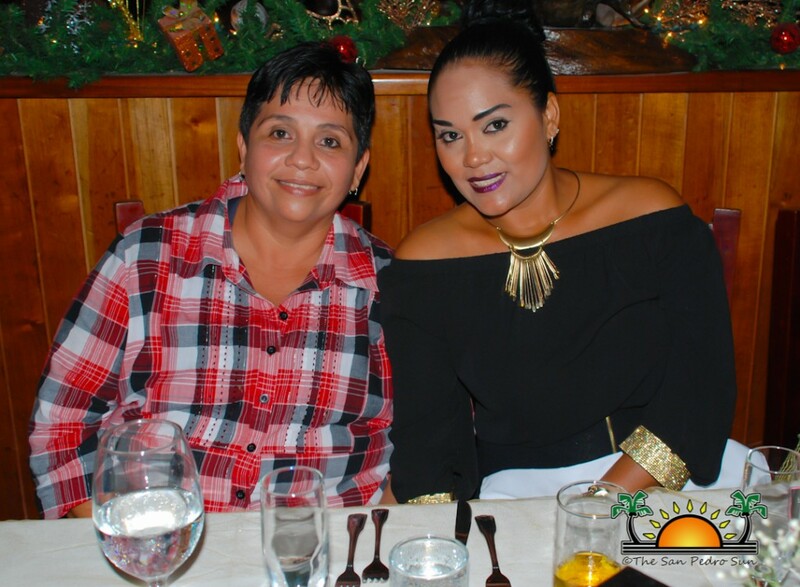 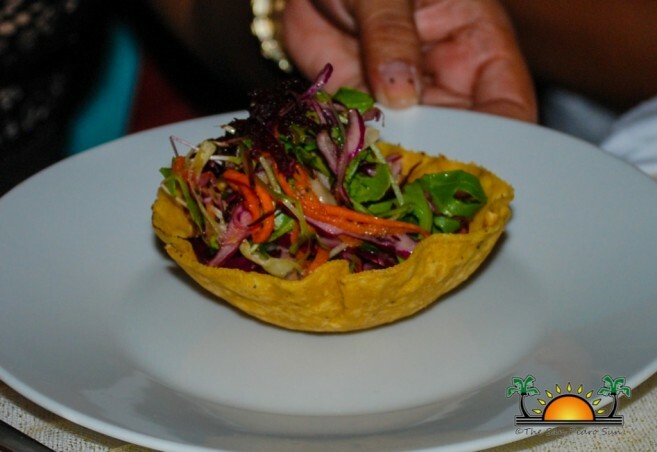 Among family and friends, the iconic San Pedro restaurant commemorated four decades of providing excellent food and genuine Belizean hospitality to the community. 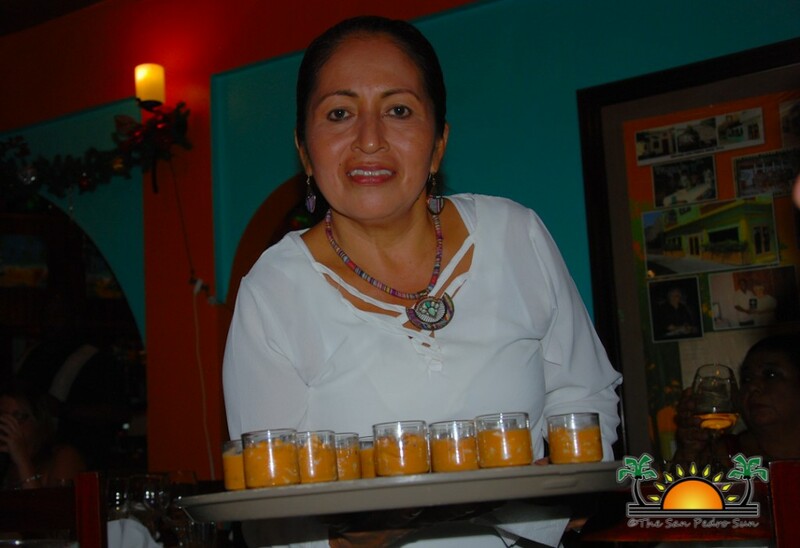 The event also served as a celebration of the accomplishments of Mrs. Elvia Staines, the pioneer of Elvi’s Kitchen. 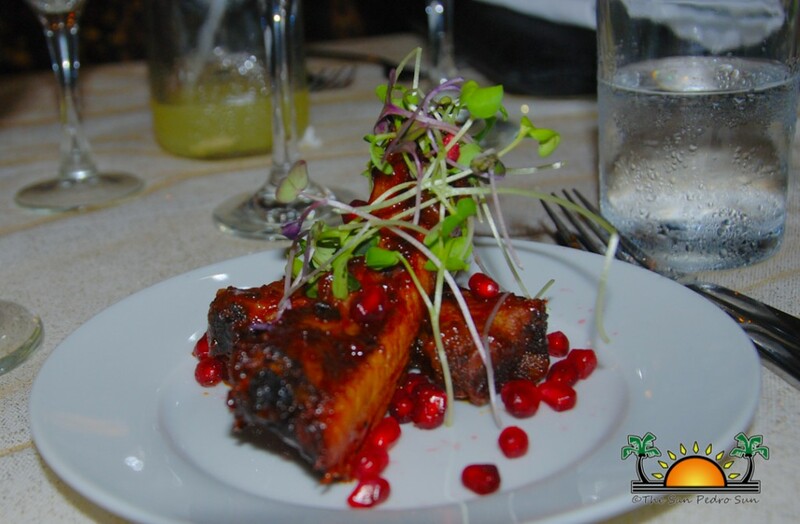 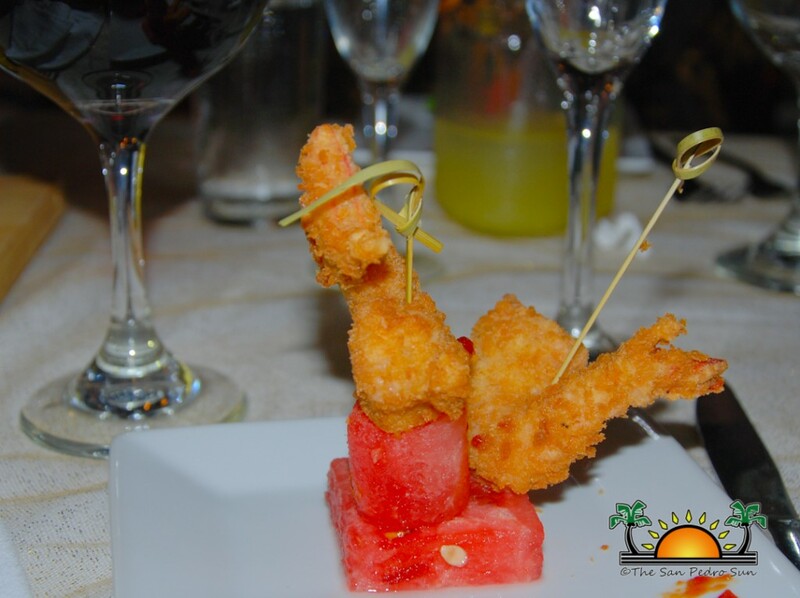 In between the short speeches, servers passed around appetizers chosen specially for the anniversary celebration: lamb tostadas, watermelon coconut shrimp and BBQ glazed spare ribs. 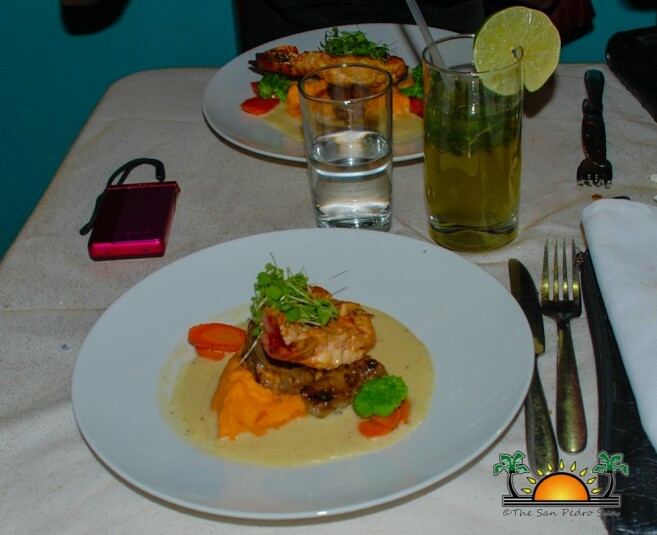 Each delicious dish lived up to the restaurant’s motto: “Where something good is always cooking”. 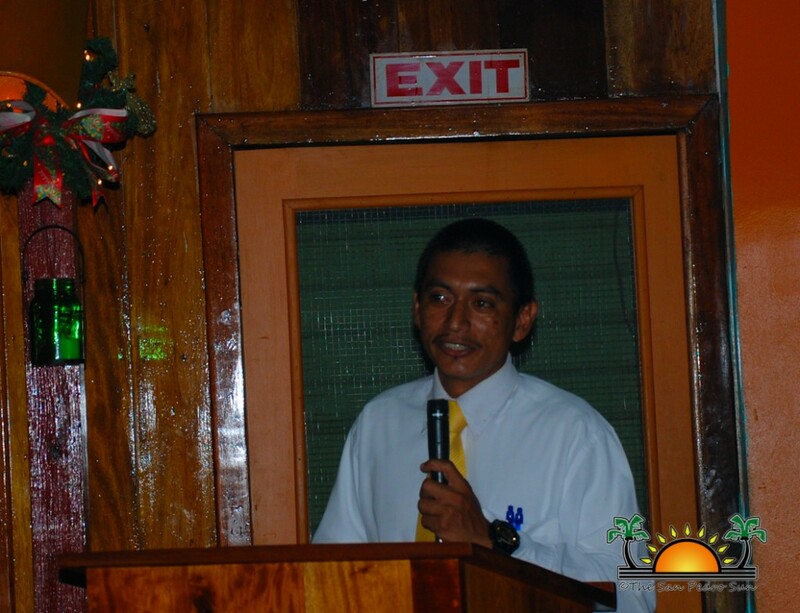 Einer Gomez, Chairman of the Belize Tourism Board reminisced on the restaurant’s humble beginning as a burger isle, sharing how he even played a role in the Elvi’s Kitchen’s operation. 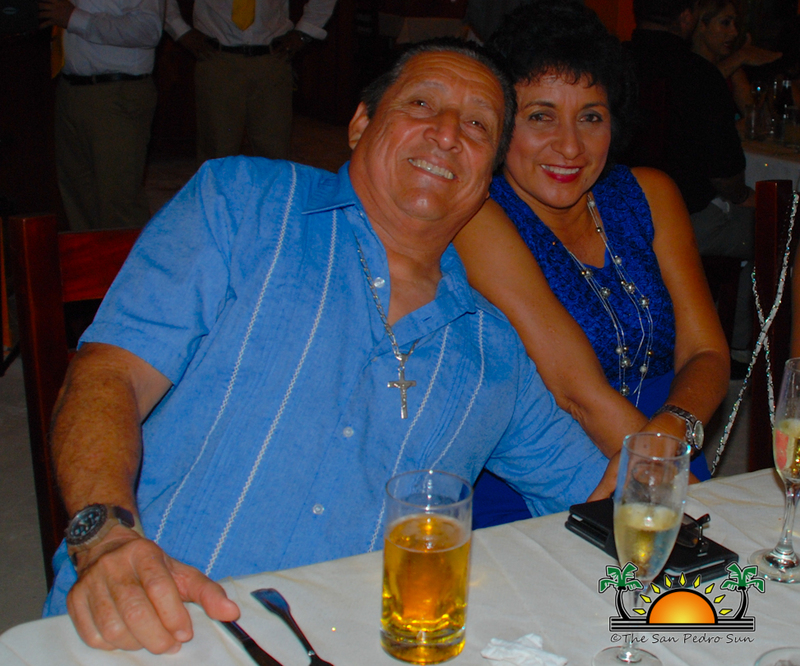 Gomez congratulated Mrs. Elvia and her family on their hard work and success. 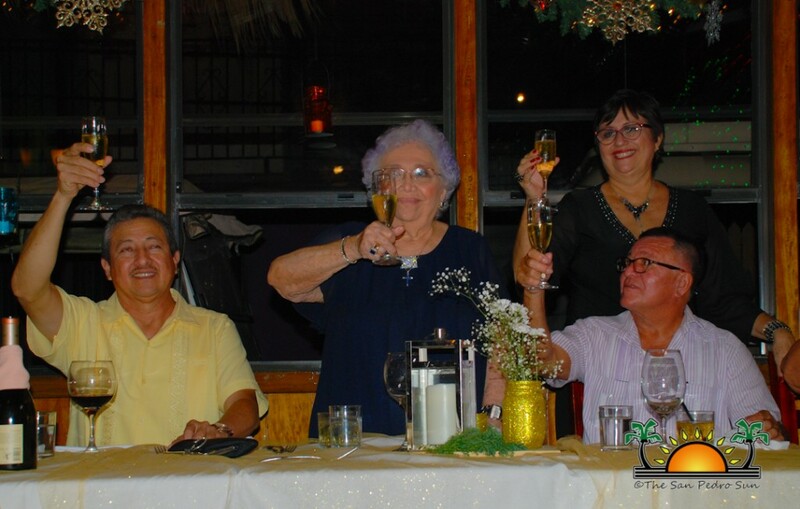 An official toast was then given by Oscar Pinelo, Chef Jennie’s son and Mrs. Elvia’s grandson. 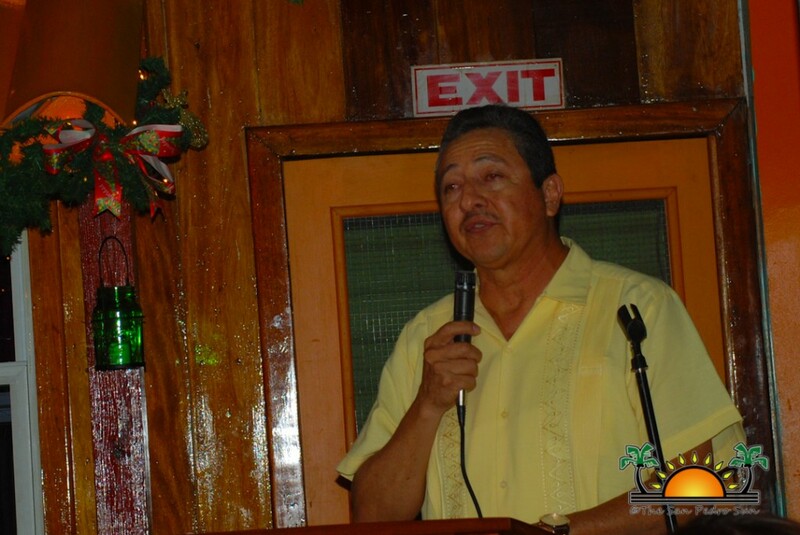 Mayor Daniel Guerrero delivered a few words of appreciation on behalf of the San Pedro Town Council. 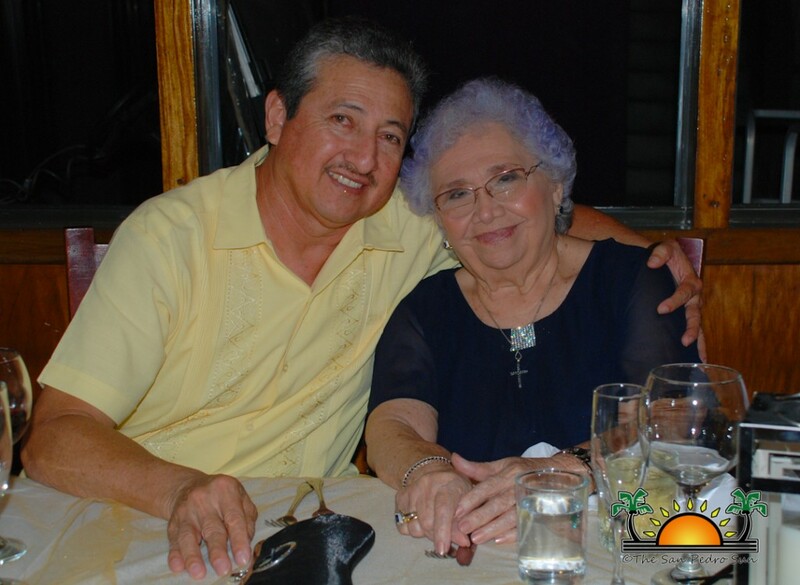 “Elvi’s Kitchen has always been a landmark in San Pedro. 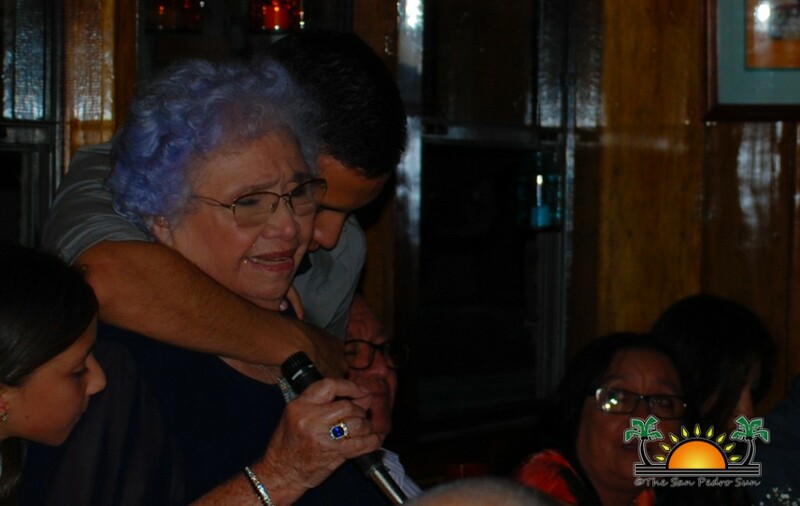 From its humble beginnings as a burger take-out spot, Elvi’s has grown and developed into to one of the best restaurants on the island,” said Guerrero. 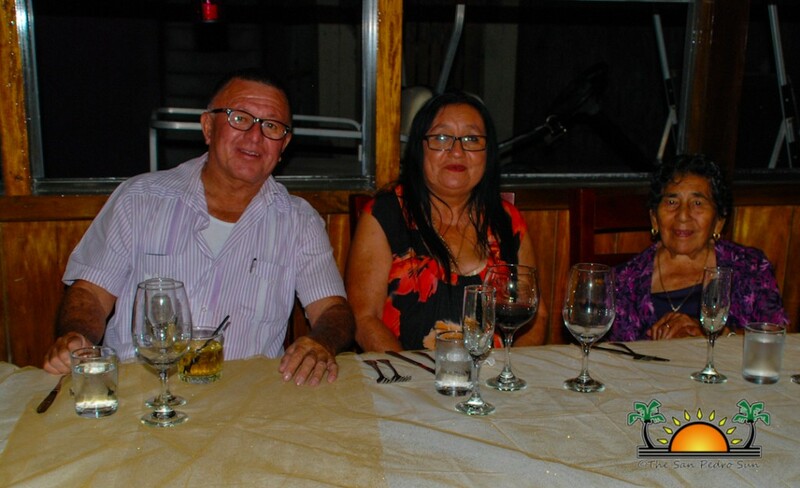 He congratulated the Staines family and their beloved matriarch, wishing them many more years of success. 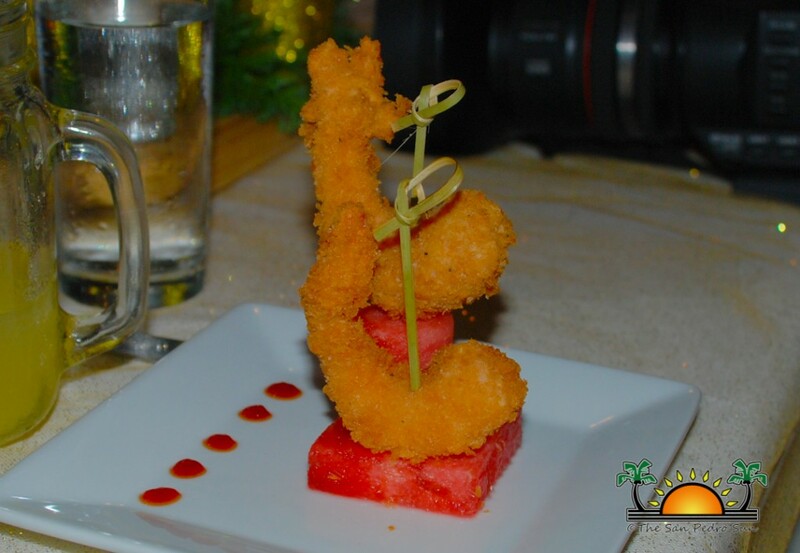 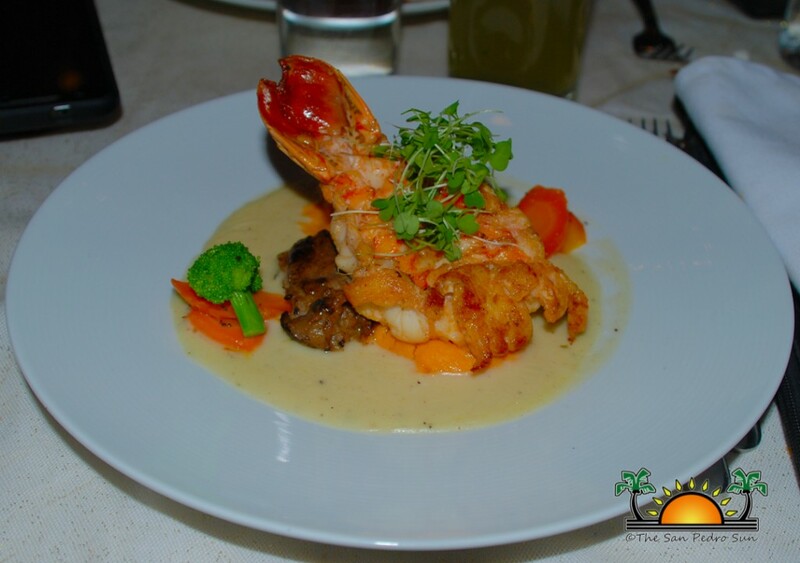 A fantastic video was shown before the main course was served, which featured surf and turf pairing of local Spiny Lobster and imported steak. 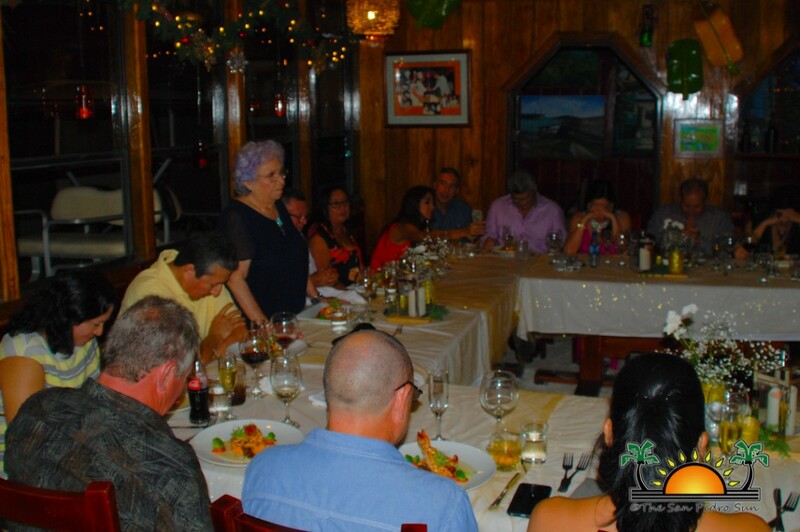 Guests joined in prayer as Mrs. Elvia blessed the meal in her Catholic tradition. 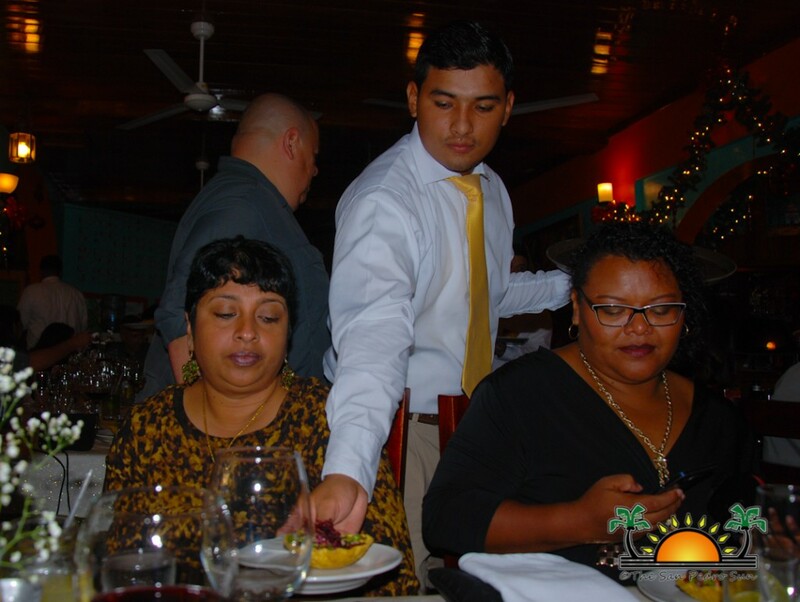 Following the meal, it was Area Representative Honourable Manuel Heredia Jr.’s turn to speak. 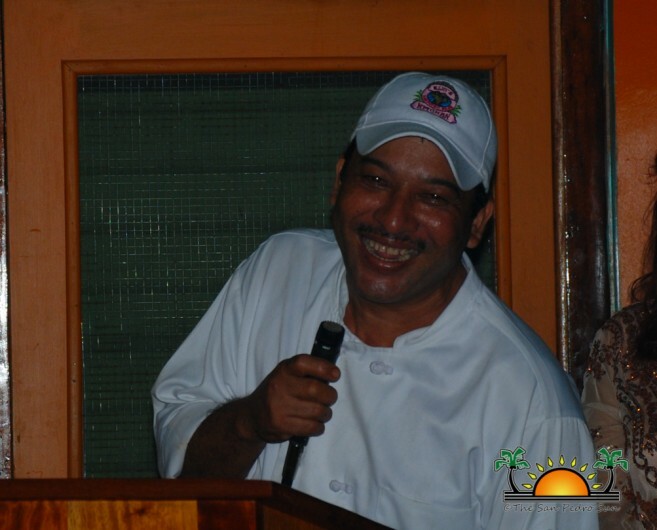 As all the speakers before him, he made his speech short and sweet, offering up his congratulations to the Elvi’s Kitchen family. 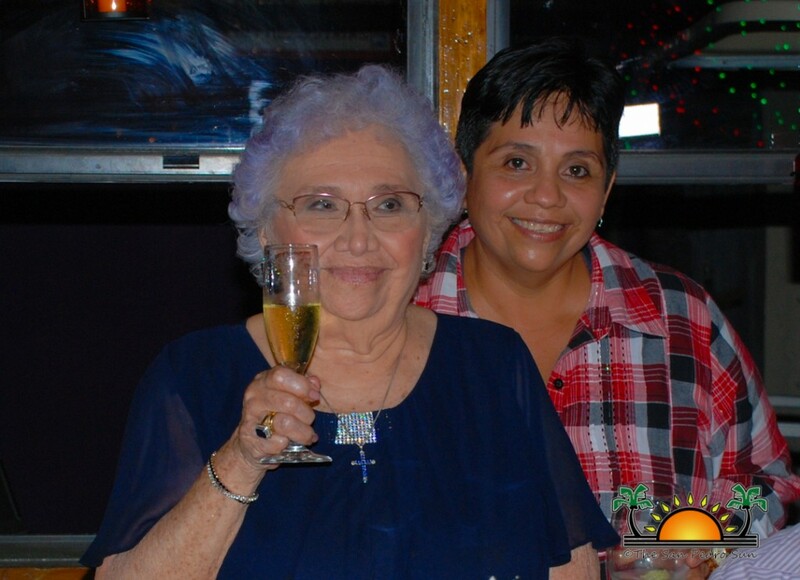 The San Pedro Sun would like to congratulate Mrs. Elvia Staines, her family and the entire staff of Elvi’s Kitchen for milestone achievement!